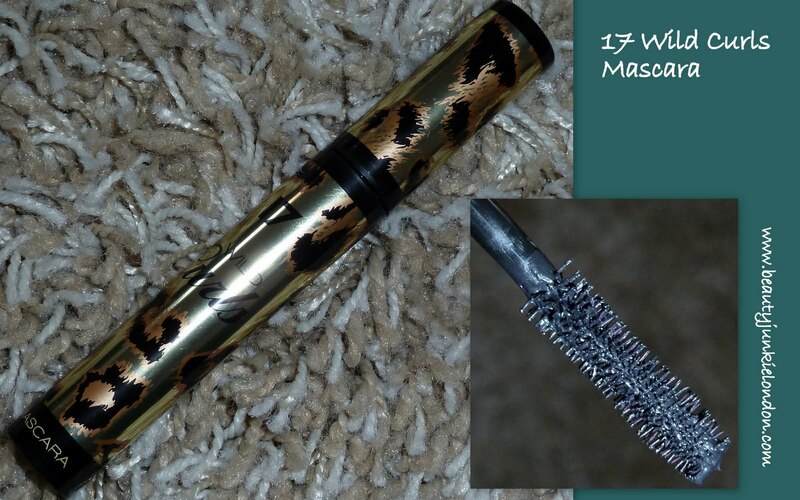 I love a new mascara – always so filled with hope that THIS will give me the long fluttery lashes that a Disney princess would be jealous of…well, this is the latest one from 17, called ‘wild curls’ and promises ‘ferocious lashes in an instant’. The packaging is somewhat in your face with the golden animal print, but I kinda like it. 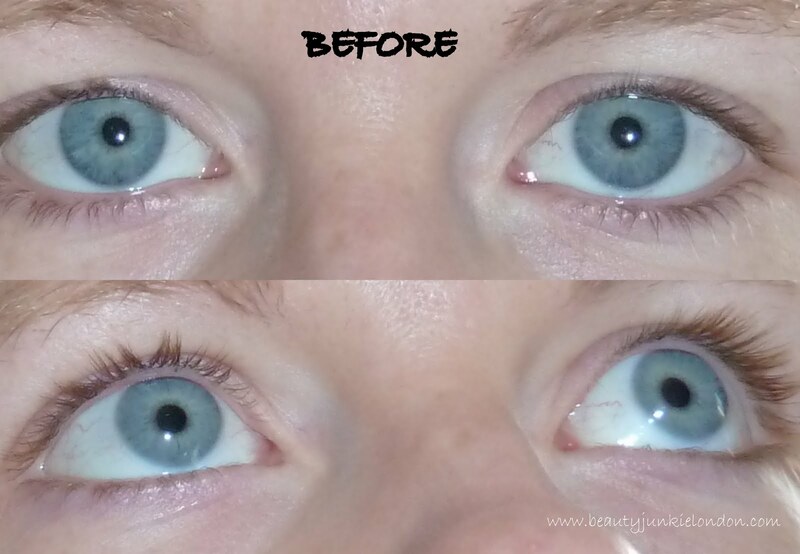 The before pictures are totally make-up free and the after shot is a couple of coats (without drying in between) without using an eyelash curler. The curling ability hasn’t exactly blown me away, but I do like this mascara. 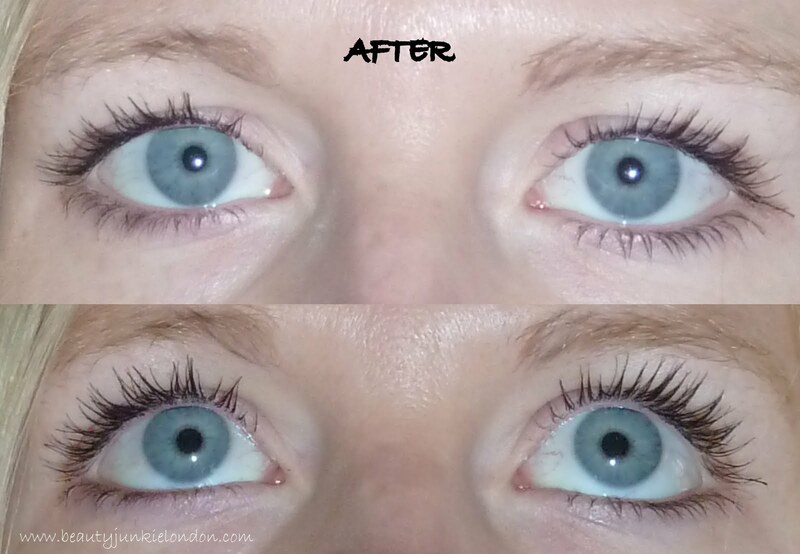 The wand is a great design, with short plastic bristles that aren’t all one length and kind of overlap in places – I find this results in zero clumping with nicely defined long lashes. With a curler – which to be honest I use daily out of habit anyway, regardless of how good a mascara is – I think this is a very good mascara. I was sent this to review but have misplaced the press release so can’t tell you the exact price, but I would guess it’s around the £4-5 mark (my how ‘drugstore’ mascaras are going up in price…) and I think a very good investment if you are looking for a budget friendly, decent mascara – but don’t get your hopes up too much about it’s curling ability. Previous Post Illamasqua make up amnesty: will you be throwing down your neutrals? woah, pretty good result on the after photo!